Looking for delicious farm fresh fruit? Then come on out to the Red Lodge U-pick! We have a variety of u-pick fruits available throughout the summer. Fill your basket with sweet tangy haskap berries, bountiful juicy raspberries, and pie-perfect cherries! They are all grown here in central Alberta along the Little Red Deer River valley and are some of the tastiest you’ve ever had. 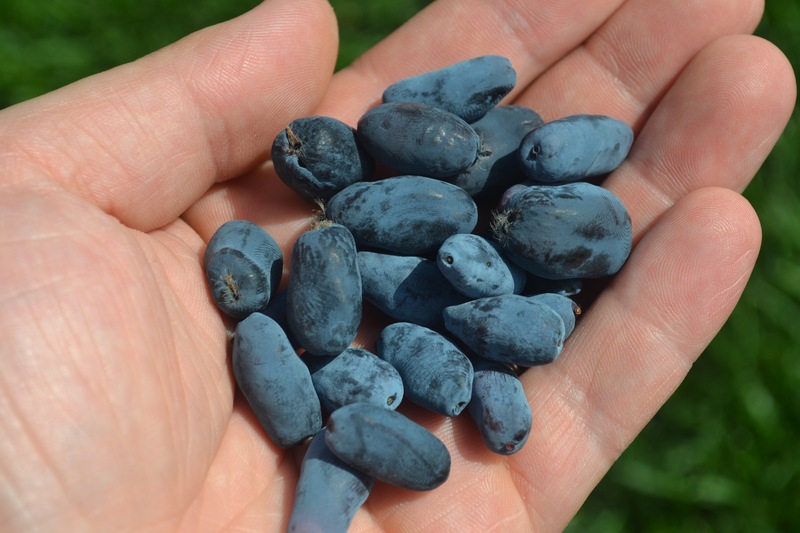 Our haskap season typically begins in early July. These berries are comparable in size to blueberries but are bursting with a unique tangy flavor. Eat them fresh – bake them in muffins – or blend them up in a smoothie! Raspberries begin in late July. Our “Red Mammoth” raspberries are the largest, tastiest raspberries you’ve ever had. Great for fresh eating, freezing, or baking! 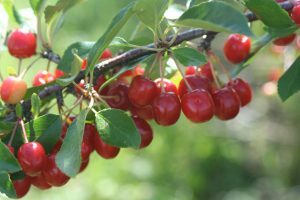 Cherry season begins in August. We grow ‘sour’ cherries that are typically for baking, but are so sweet you can eat them fresh off the trees! We provide everything you need for a great pick-your-own experience! Washroom facilities are available in the field. Your friendly host, Gary Thorpe, will get you started and answer any questions you may have.